The promotion of good dental hygiene is everywhere, but most commonly found it toothpaste ads. Proper dental hygiene consists of a good brushing technique, regular flossing, regular dentist visits, and proper cleanings twice a year. A good dentist will explain why all of these things are important to maintaining healthy teeth, but just in case your dentist hasn’t briefed you, we will. The first and most important technique is brushing. Here’s a few tips to maximize proper brushing routines. Brush in small, tooth sized strokes. Angle the toothbrush to clean under gums. Brushing the tongue will remove harmful bacteria. To clean molars, keep enough slack in your jaw so your toothbrush can reach. The most important technique in brushing is to really brush for two minutes or more, twice a day. Many people think they’re brushing for two minutes, but in reality it’s only about thirty seconds. 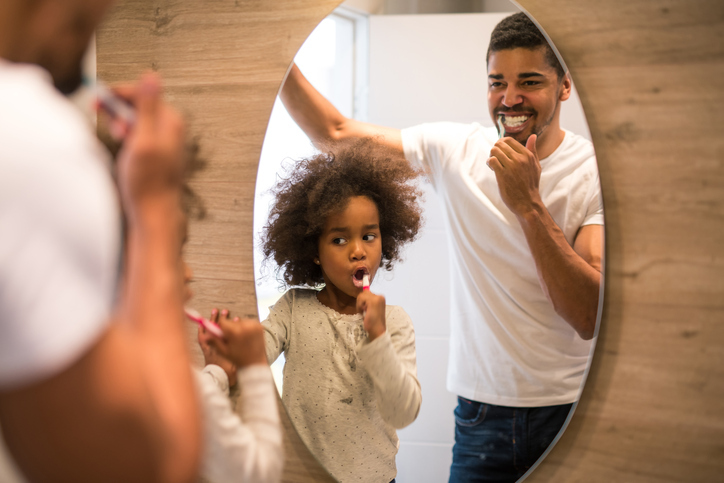 The importance behind brushing your teeth for a certain length of time is to give the fluoride in the toothpaste a chance to soak into the enamel to remineralize and maintain healthy teeth. For teeth that are in recovery and need to remineralize naturally, dentists often recommend not to rinse the toothpaste out, but instead to let it sit to rebuild healthy enamel. Another piece of dental hygiene that’s overlooked is flossing. Sometimes those bristles on our toothbrush just don’t do the trick, and that’s why flossing once a day is recommended. Flossing can be super quick, regular thread can be used or a floss stick. For those with braces or retainers, a waterpik can be handy when flossing is more of a hassle than it’s worth. Mouthwash! It’s the go-to in dental hygiene, when we just don’t have the time to brush our teeth, we reach for the trusty mouthwash. That’s not all it’s good for, though. Brushing and flossing is a great routine but brushing, flossing, and using mouthwash during every cleaning is even better. The combination cleans, sanitizes, and offers a thorough, fresh rinse that can’t be achieved by brushing alone. So take a small swig, it won’t hurt! Having a disability can affect even the most mundane parts of our daily routines. Oral hygiene is one of them. Here’s some recommended products to aid in keeping healthy teeth. Universal Weighted Holder - For someone with Arthritis or Parkinson’s, keeping a steady technique when brushing can be difficult due to shaky hands or tremors. That’s why weighted holders are recommended, to reduce tremors and shakes to make caring for your teeth easier. 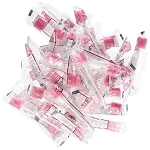 Toothettes Oral Swabs - Sometimes, using a standard toothbrush can do more harm than good. Whether it’s because of sensitive teeth, damaged teeth, or a lack of teeth, brushing with bristles isn’t always the best option. Oral Swabs are a good replacement, they’re gentler and they still get the job done. Bedi-Shield Dental Aid - For those that like to do thorough cleanings and checkups between dentist visits, a Bedi-Shield Dental Aid comes in handy when trying to minimize discomfort. This tool allows for thorough oral care with little discomfort, it also is used to adjust your bite to inspect hard to reach places. Oral hygiene is a lifelong battle and few people go their whole lives without a cavity. However, they can be prevented and even healed naturally without the dentist's’ drill. Following these techniques can ensure you’re doing all that you can to keep your teeth as healthy as possible. Spread the awareness, practice good oral hygiene, and let the dentist brag about your shining smile!